Yahoo's photo sharing service now has a 'similarity search' option. 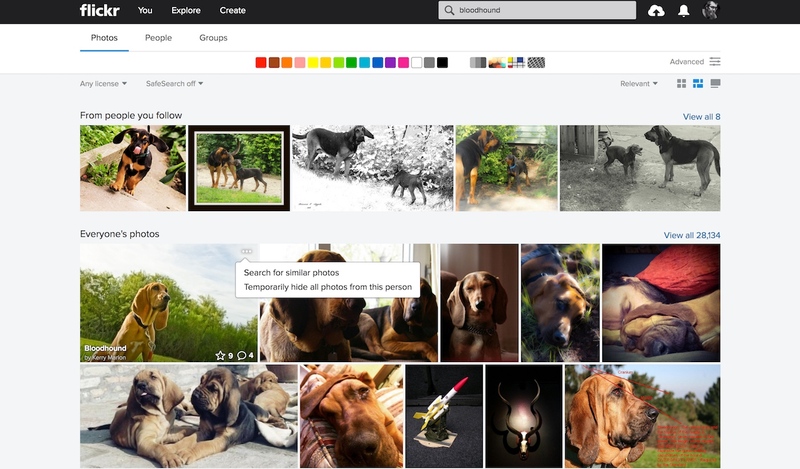 Flickr is finally catching up to the likes of Google Photos and Google Search. Now when you check out Yahoo's photo sharing site you can find all manner of visually similar pictures just by clicking the "..." button on an image. From there, you should find relevant and, as the name suggests, similar photos to what you had in mind. Yahoo explains that this uses computer vision to achieve its results. There's a lot in that post to digest, but the key takeaway is that with time, it'll get better at delivering the bloodhound photos you're craving. And if you want to try using Yahoo's Locally Optimized Product Quantization for your own sorting techniques, it's open source. Get crackin'!